My best guess from Capinera's book is Derotmema haydeni, because of the bulbous eyes and 2 lobes on the pronotum. Didn't get close enough to measure, and didn't look at hindwing. The white on the pronotum is a bit odd to me (nothing in Capinera's book shows this for any similar species, but maybe it's just a color variation?). for the species id and related comments. 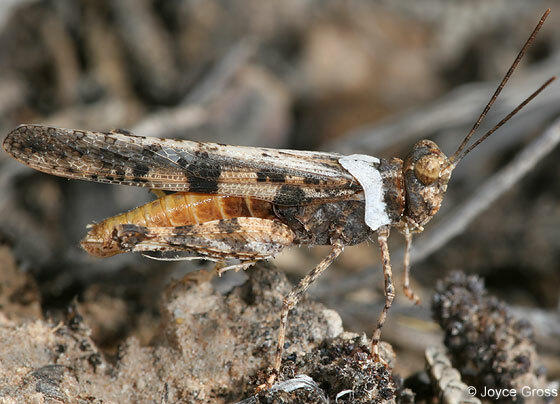 These grasshoppers are not at all easy to identify!